It may surprise you to know that the Desk Phone is still important in today’s business environment. We’ve all tried to call someone who answers on a mobile that is losing signal every 5 minutes and sound like they are speaking through a socks. In a recent survey, 65% of knowledge workers prefer to take business calls on a Desk Phone. 91% of these people agree or strongly agree that phone calls remain an important way to communicate. You need a modern VoIP phone system to do business. The cost of not acting means your company can’t keep up. Why spend money maintaining legacy systems when you can get a flexible and scalable system for the same money. VoIP phone systems support USB, Bluetooth, BYOD, cloud and mobility but more importantly they save money. 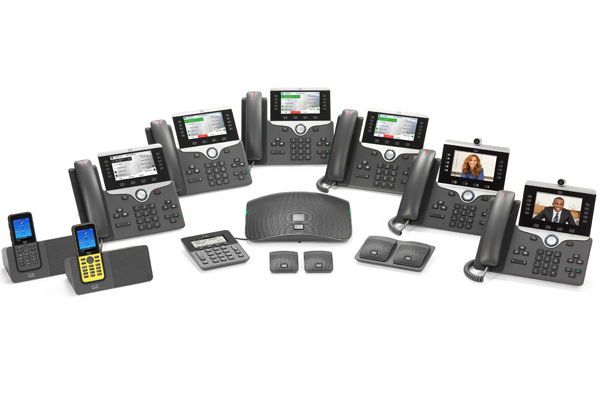 Cisco is the leader in IP Phones and with the 8800 series you get access to next generation audio and video calling. Desktop HD video calling is now affordable. The range supports on-site PBX and cloud phone solutions, say goodbye to your phone bills! Mobility lets workers work from wherever they need to. With the Cisco 8800 range an Bytek VoIP you can pick up calls and share info on your mobile or Desk Phone, whatever is needed. The phones can work from anywhere with an Internet connection, so moving offices isn’t difficult. Just plug the phones into an Internet connection. We can look after any business, from 3 to 30,000 employees and up. Our VoIP Engineers can work with your needs to deliver a modern, fast and affordable phone system so you can focus on your business. Visit our VoIP Portal or Contact Us Today!